There are five games left in the MLB regular season, and while the season's final day promises not to approach last year's drama, there is a new playoff format ahead. So I'm going to attack this chronologically before targeting scenarios. WEDNESDAY 10/3 - Regular Season Ends. THURSDAY 10/4 - Open Date, can be used for Rain Makeups or Tiebreaks. 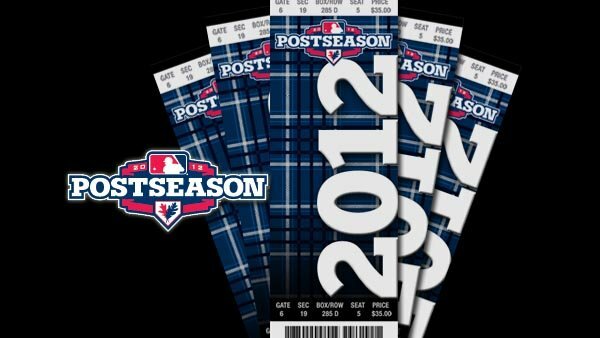 FRIDAY 10/5 - AL & NL Wild Card Showdowns. One-game battle to advance to Division Series. So there are cushions in the schedule should we get to an "all hell breaks loose" scenario. The key thing to note is that this year (besides there being a record 10 teams in the postseason) is that the Divisional Playoff Format is 2-3 this year only, as opposed to 2-2-1 from the past or the future. That means the lower seed will start at home. The NL picture, outside of #1 overall seed, is pretty much set so we'll start there. For this purpose we'll call the Nats the top since they won the season series vs Cincinnati 5 games-to-2. There are no restrictions any longer with teams facing a team from their own division in the divisional round. So let's take a look at the lowest seed, the defending world champion St. Louis Cardinals, and assume the Dodgers don't make up a 3-game deficit with 5 to go. On Wednesday, the Cardinals would close their regular season at home against Cincinnati and scheduled starter Homer Bailey, who just threw a no-hitter last night (thanks to Twitter for all the alerts). Then on Friday, the Cards would head to Atlanta for their one-game death-match and meet up with Kris Medlen, who has a 1.05 ERA since June 20. Should the Cardinals make it out of Atlanta alive, they would have to return to St. Louis for a Sunday game to handle Washington and another ace starter, 21-game winner Gio Gonzalez. The other series would be Cincinnati opening in San Fran on Saturday. So the deck would be stacked against the Cards (no pun intended) more than Wild Card teams of the past, including their such run to the championship last season. But St. Louis likely won't be fighting it out until the last day of the season so they'll have a good chance to set up their pitching the way they want. The American League situation is a lot more crowded. First the divisions need to be decided. Unlike previous years if the division is tied and one team is assured a wild card, they would just re-seed. Now since there's so much extra weight attached to winning the division, ties need to be settled on the field. The Yankees and O's are separated by 1 game with 5 left. Should they end in a tie, the one game tiebreak, the 163rd game of the season, would be in Baltimore (better divisional record). The loser would have a Wild Card game (likely at home, but maybe in Oakland) on Friday. The winner gets two days off and would open the actual playoffs on the road on Sunday. The AL Central situation is the same, but different. 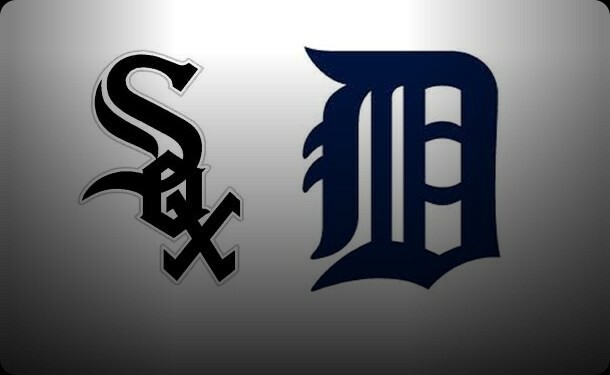 The Tigers lead the White Sox by 1 with 5 left. On Wednesday, Chicago is in Cleveland and Detroit is in KC. So they would both have to travel to Detroit to meet up for a tiebreak game Thursday. Since neither team figures in the Wild Card race, it would be win or go home. And if today's starters go Thursday as scheduled, it would be Chris Sale vs Justin Verlander. I'd call that appointment viewing. Oakland looks good to be the 2nd wild card. They're are 2 up on Angels and 3 up on Rays. So they finish Wednesday at home vs Texas, then go to Baltimore/NY for Friday game, and if they win would return home for the Sunday ALDS to take on Texas again. But stranger things have happened in the last 5 games of the season. We saw it just last year. If the A's and the Angels wind up tied for the 2nd wild card, they would play a 163rd game Thursday in Oakland. Then the winner would have to come east to face the the Yankees/Orioles loser on Friday. Then there are situations with three-and-four-way ties, where multiple tiebreaker games need to be played, and the team with the best overall head-to-head record gets to choose whether to play one game on the road or two games at home. I will get to all that (what's the phrase this time of year?) if necessary. Although Jayson Stark has already glimpsed into the very murky crystal ball. I'm more concerned with the schedule and TV network. Plan on TBS from Thursday on for Tiebreak/Wild Card/Division Series coverage.